All ATV and UTV wheels listed by size. 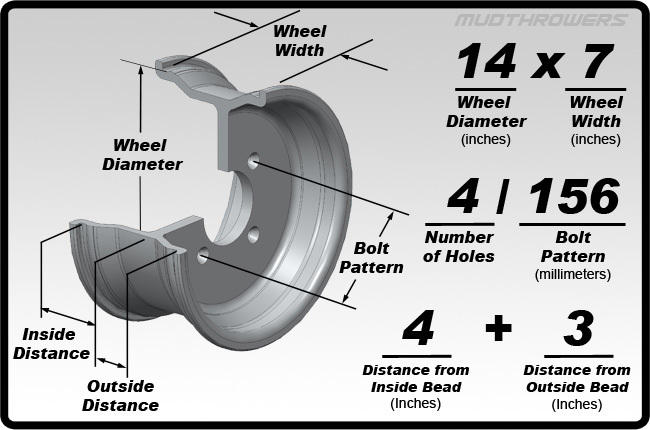 All wheels sizes are categorized by bolt pattern, specified in overall wheel diameter x wheel width and back spacing. Fits all Arctic Cat utlity ATVs and UTVs. Fits Textron Wildcat and 2019+ Yamaha YXZ1000R machines.